Hello and Happy Holidays!! Jenn here today sharing another addition to my Christmas card makes this season! 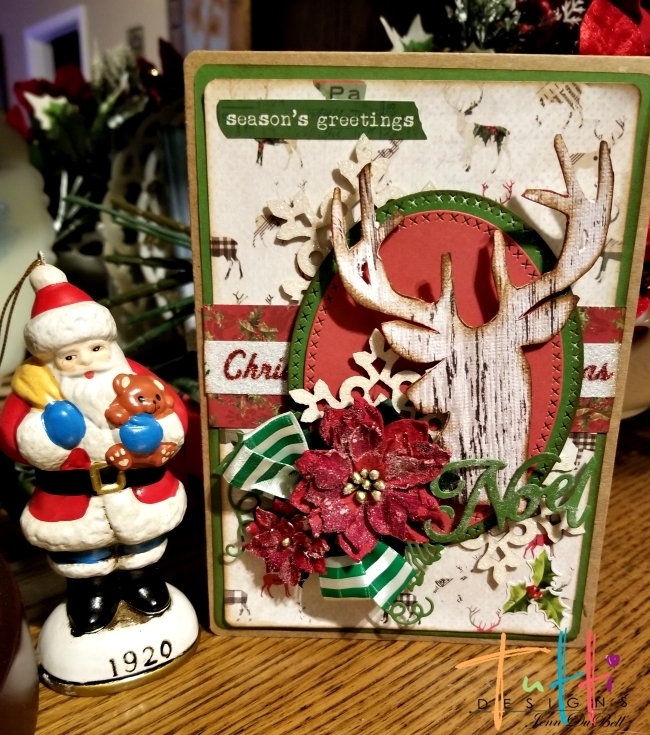 I just love the holidays and creating homeade cards for friends and family. 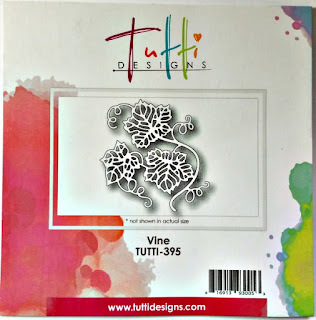 These amazing dies by Tutti Designs add so much beauty to my cards. To Create this card I started with the inside. Beginning with a sheet of red cardstock cut to 4 3/4 X 6 3/4. Next a sheet of antique white cut to 4 1/4 X 6 1/4 layered on top. 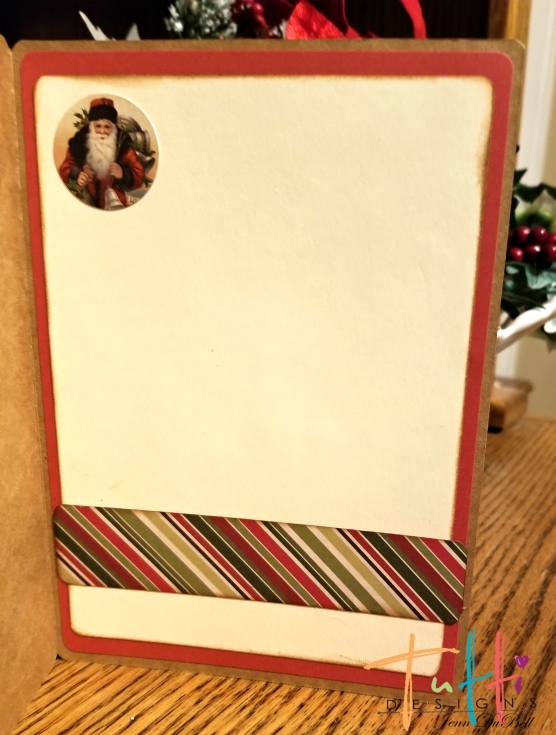 I added a strip of patterned paper scrap to the bottom and a sticker from the Simple Stories™ collection. NOTE - I used a corner rounder on all papers and then inked the edges using Distress ink in Vintage Photo before adhering. Because the card front is heavier I wanted to create and embellish it as a panel before adhering it to the base. I started with a sheet of green cardstock cut to 4 3/4 X 6 3/4. I rounded the corners of the card base and this green piece. 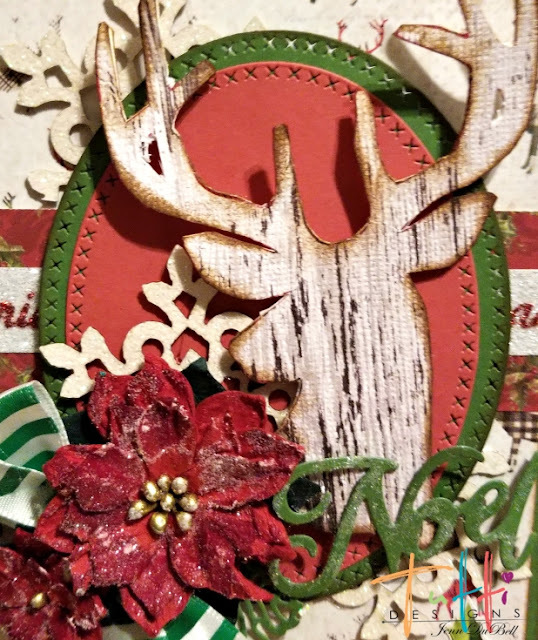 The edges were inked and then a sheet of the patterned paper (reindeer) was cut to 4 1/2 X 6 1/2, corners rounded and edges inked and adhered to the green. Using the two largest Cross Stitched Nesting Oval Dies one was cut in green and the smaller in red. I inked the edges of the green large oval and adhered the red oval on top of it. I added a strip of scrap patterned to the middle of my panel, followed by a strip of glittery Merry Christmas Washi tape. Next I added the layered oval dies using foam adhesive squares. 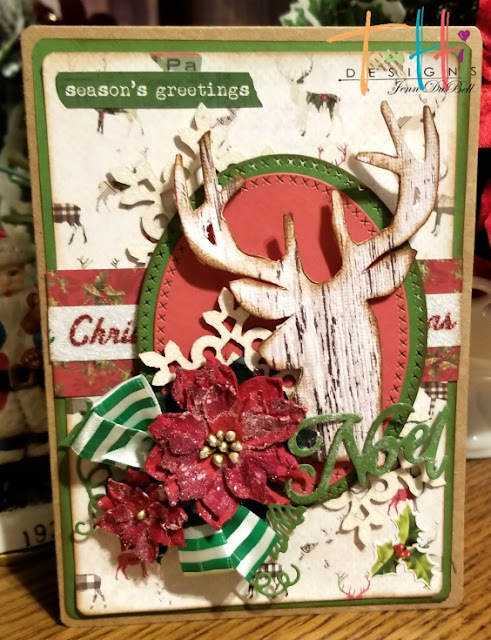 I then cut the vine die using the same green cardstock and fussy cut a wooden reindeer from some scrap papers in my stash. 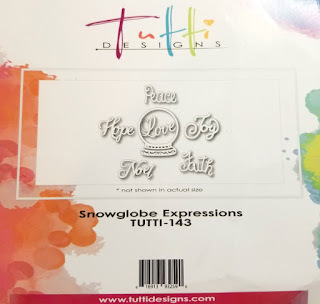 Also using the same green I cut the Noel from the Snowglobe die set. I applied clear glue to my flowers and Noel die cut and then super fine crystal glitter. The reindeer was inked around the edges with Distress ink and then adhered using foam adhesive squares to the ovals. I added my flowers, vine die cut, a ribbon, and snowflake embellishments as shown in the photo below. This was a very fun card to create!! The photo close up below shows the amazing cross stitched design on these amazing dies!